White Collar Crime and Compliance newsletter focuses on criminal regulatory enforcement and trends across Canada in the corporate commercial sector. It's a white paper guide on compliance, both setting out the rules that need to be followed and how to follow them for corporate commercial lawyers. 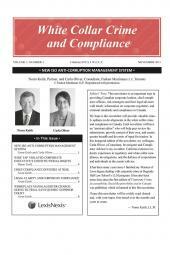 Updated bi-monthly, White Collar Crime and Compliance is available in three convenient subscription formats: Print Only, Print + PDF or PDF Only. The PDF version can be posted on your firm's Intranet so that all staff may benefit from this information-packed newsletter. 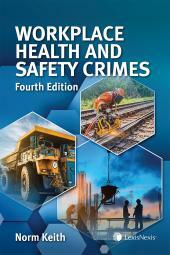 Please note that the PDF version may be used for Internal Distribution only.